Home > Custom Made Girl's Cottontail Bunny Toile Dress. Custom Made Girl's Cottontail Bunny Toile Dress. This is a wonderful creation for the Spring and Summer, and especially Easter! 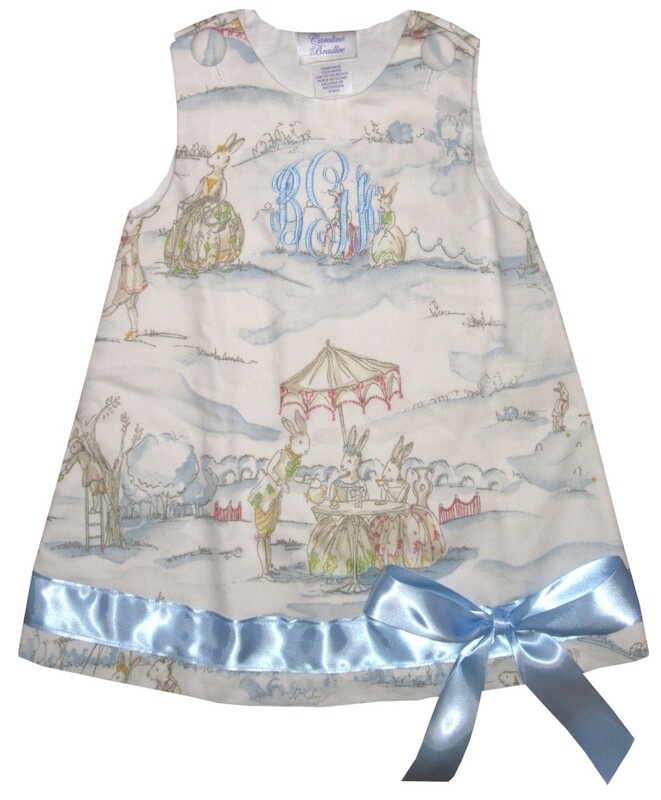 We start with the beautiful Cottontail toile for the dress and embellish it at the hem with light blue satin ribbon and a bow.